Moviegoers need another film about the drug trade as much as they need a hole in the head — or, more specifically, a cocaine-caused hole in the nose — but The Infiltrator does just enough right to make it a welcome addition to the canon. 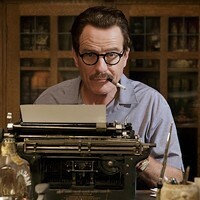 After delivering last year's best male performance in last year's best movie, Trumbo star Bryan Cranston is again mesmerizing in a true-life tale, this one about a U.S. Customs agent attempting to bust open the drug trade in the mid-1980s. He's cast as Robert Mazur, who, with his more animated partner Emir (John Leguizamo) in tow, manages to successfully infiltrate the stateside operation of drug lord Pablo Escobar by pretending to be a money launderer named Bob Musella. 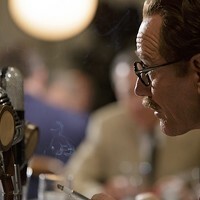 The assignment ends up requiring the happily married man to pretend he has a fiancée — one provided to him by the agency in the form of rookie Kathy Ertz (Diane Kruger) — as well as (shades of American Hustle) develop a close and sincere relationship with top Escobar aide Roberto Alcaino (Benjamin Bratt). The unusual structure of the film (it could almost be tagged Four Funerals and a Wedding) and the stellar turns by the ensemble players (Leguizamo really needs to be landing more assignments in high-profile movies) easily eviscerate any lingering feelings of been-there-done-that.